Face cream. Pretty big words. Yes, it can be scary. For those who is not familiar with buying face care, this can be pretty scary and at times, can seems to be a waste of money. 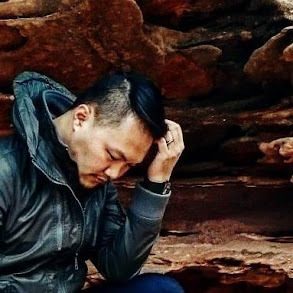 A man can walk into a store with only one intention to buy just ONE bottle or a jar of moisturizer, may find the experience overwhelm and end up buying nothing. And truth to be told, I am pretty particular when comes to face cream and facial cream. Hello, this is my face you are talking about. 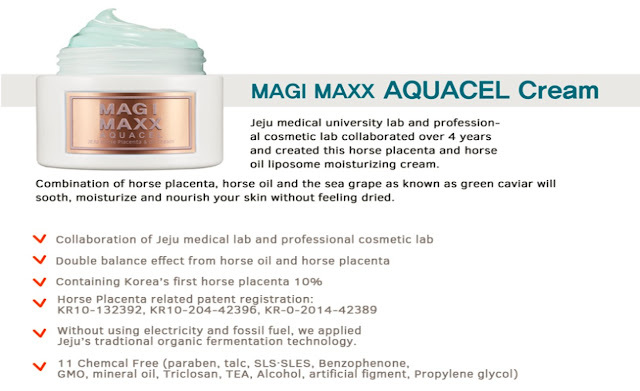 So when I heard about this Magi Maxx Aquacel Cream, made with horse placenta and horse oil, I jumped at it and had to try it. I am feeling all #adventurous and #excited. And it's editor's pick in Althea. Click click in Althea.kr, before I even know it, it's here for me to try! Basically, what it does is pretty awesome. Although it sound a bit "not your typical face cream", I have to say this all-Korean face cream give you immediate moisturization and nourish your skin with natural ingredients from Jeju, free from 11 chemicals, has natural essential oil, and of course, horse oil and placenta. 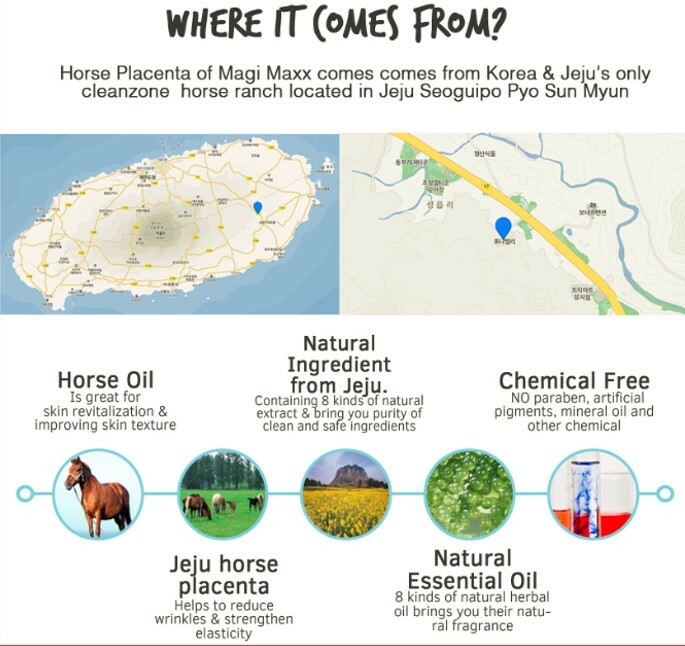 Apparently Jeju's horse placenta helps to reduce wrinkles and strengthen elasticity. For me, if you can give me hydration and safe, confirm I beli to try. 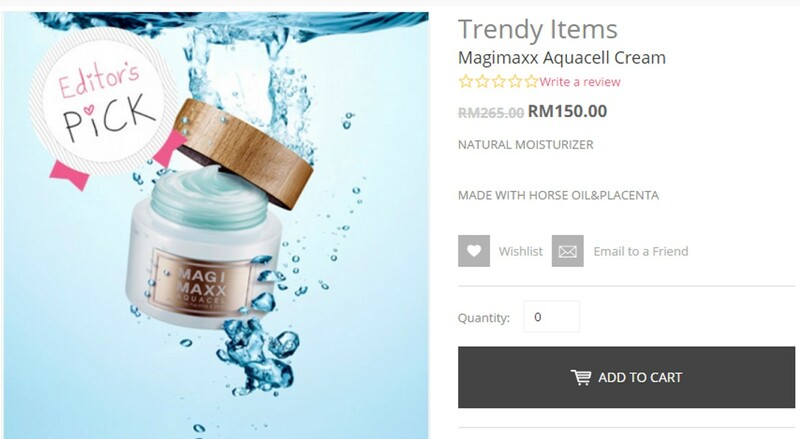 It's also manufactured under CGMP (Cosmetics Good Manufacturing Practice) and has Korea certification by MFDS (Ministry of Food and Drug Safety), good credentials! A quick summary of where the ingredients is from and what it does. Pretty amazing! What caught my eyes is.... 10% horse placenta. Ok..... #thankyou. First impression, look very premium! Solid glass jar with real wooden cap! 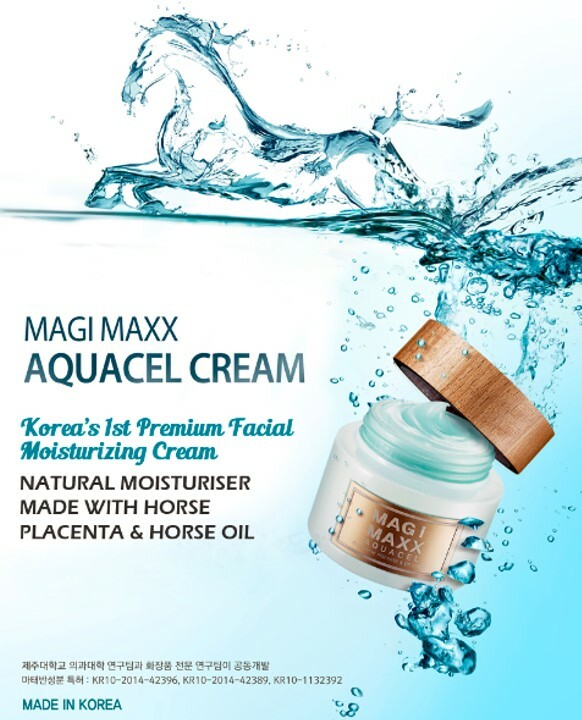 Unlike some cream texture, which sometimes can be quite liquid or too heavy, this is firm, yet not oily. No, it doesn't come with the wooden spatula, that's mine. Just want to show you that it's texture is pretty solid. Using just a small bit, I can use it for the entire face, I used it day and night, for a minimum of two weeks - I can see my skin is not tight after using it. Most of the time, after cleansing, if I don't use moisturizer, my face will have tight feel to it, I need moisturizer all the time. A closer look at the cream. The smell, is heavenly! I don't like strong smell or overly fragrance products but this, I don't mind, not because it's strong but simply because it's relaxing. By now, you probably know that a lot of products has smell to help you relax, wind down or even help you feel energize. This is one product that made me feel relaxed and calm. After trying it, I can safely say that I will buy it once I am done with this jar of wonder. Usually, cream based moisturizer is thicker and might be oily on your face for some, I suggest this for those who has dry and combination skin. I also find that using this face cream at night is perfect! 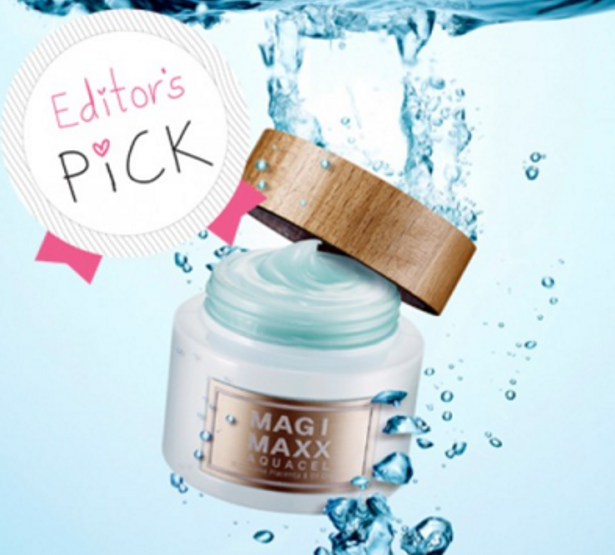 If you really think this cream will give you the oily look during the day, try something lighter, like gel base products. For me, I am ok with the texture. By the way, the fragrance is long lasting, so for those who enjoy smelling good, this is a definite choice for you. It's available in Althea, you can order it online. Apparently they are running a promo! Instead of RM265, it's now RM150! Good deal! Grab it while the promo is still on! Click here! Because I tell you, after you start using this, you might be like this guy... #gorgeous!